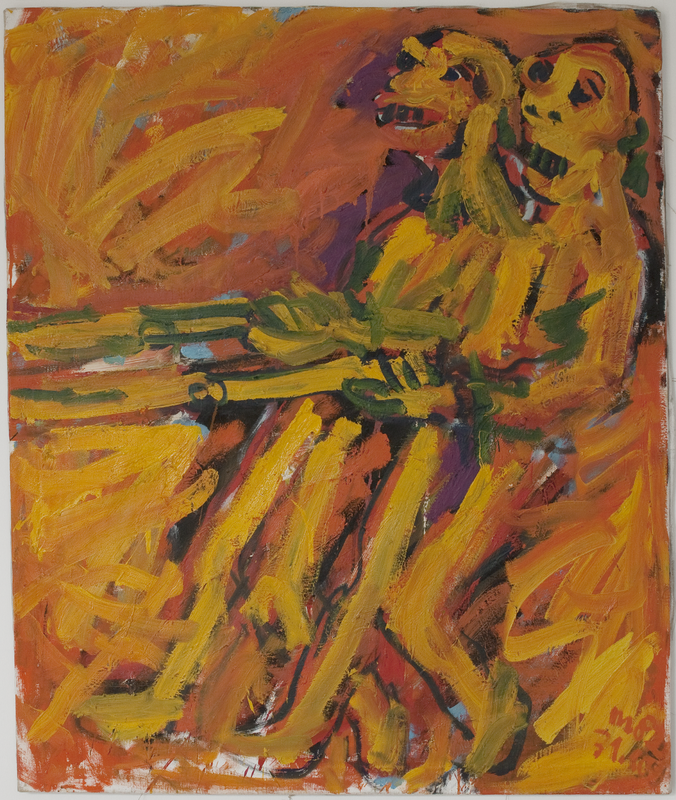 Austrian artist Otto Muehl was a co-founder of and participant in Viennese Actionism and the founder of the Friedrichshof Commune outside Vienna. From 1968 on, Muehl developed a form of masterly amateurish painting. He thus numbers, along with Picabia, among those whose work prefigures contemporary “bad painting.” The heterodox, vulgar, and banal character of these works doubtless records a “moment of rebellion” and a “different habitus,” pointing, on the one hand, to Muehl’s actionistic call for a demolition of panel painting itself, and, on the other, to an attempt at a re-evaluation of art’s terms in the actionistanalytical commune he founded. The works shown at Rod Bianco were created between 1980 and 1985. About ten years prior to that, Muehl withdrew from the art scene altogether – after the scandal of his appearance at Harald Szeemann’s exhibition “Happening & Fluxus” at the Kunstverein Cologne and the simultaneous International Cologne Kunstmarkt, which branded him once and for all the “bad boy” of the art world – and retreated to his own commune. In a series painted in 1983, he refers to these events with sarcasm and irony.